Get an extra 10% off for small parties of 4 or less people or for booking three weeks or more. The villa is spacious inside and outside, not over-crowded as you find in many homes because they have added too many bedrooms. Our home is on a large lot and not overlooked by anyone in any direction. Homes are well spaced out - what we provide is spacious good quality southern living. This is our winter home and the key feature is quality and space. There are two small lakes and no through traffic in this up market gated community. "We had a lovely holiday and the late check out was really appreciated, it made such a difference to our last day. Thanks Lisa Glasgow, Scotland"
"Thank you once again for a lovely stay at your villa. We are coming back next year again in just over 5 months. We can't wait. Pam & Ken Smith"
"We had a great holiday at your villa again. regards Graham West Midlands, UK"
"7 Years of staying at this wonderful villa, feels like home from home.Always clean & tidy and great location, many thanks, Rob & Krystyna Leicester UK"
"Absolutely lovely villa, all needs catered for. Clean & Tidy and very spacious. Had a wonderful time, and able to stay that extra few hours with a free late check-out before going to the airport. 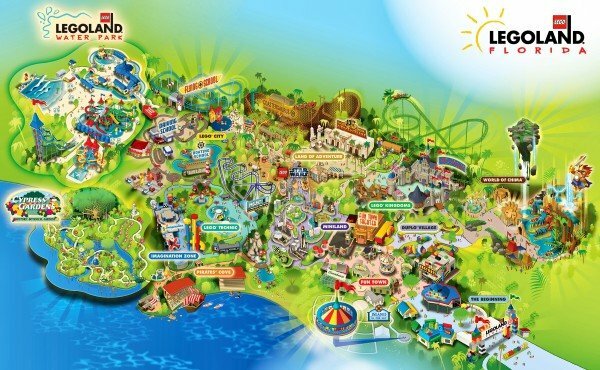 Many thanks, Steve & Gina UK"
"Had a lovely stay, villa perfect location for Disney parks, weather great.Would recommend to others. Dilly Dilly The Windsors, Kent UK"
"Thanks for another great stay at the villa. We are back again in 5 months + 3 days,(who's counting) Great weather as always. Kind regards, Ken & Pam Smith Coniston UK"
"Another great stay, so gald we booked 3 weeks, the villa was very comfortable. Helen & Steve Somerset UK"
"Had a wonderful stay at Turnberry Grove. We have stayed in many villa in the Orlando area and this has been the best so far. We especially enjoyed the pool area. lovely and comfortable, as well as being very private. Helen, Steve, Alina and Freya Somerset UK"
"Another lovely stay at your villa, the weather has been hotter than normal for March. Hope to be back next year. 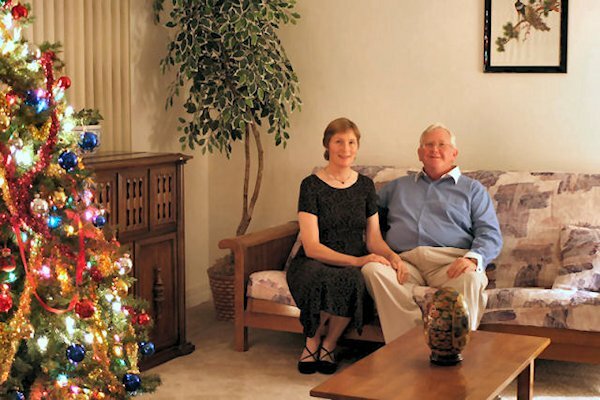 Pam & Ken Smith, Coniston UK"
"Fantastic house - had everything we needed. The kids enjoyed the pool (including sharky!) The location is great for the parks. Had a trip to the beach (Anna Maria Island) - bit of a drive but worth it. Thanks, Paul, Pauline, Gar, Liz, Emily and Maeve Yorkshire UK"
"Fourth stay, extra week well worth it. Wonderful villa as usual. Thanks to Dave & Jean (management company). See you next year. Rob & Krysyna, Leicester UK"
"Stayed at your home for a week and enjoyed it very much. We loved your pool, some of us swimming for 4 hours! A very nice area to live in and so close to Disney World and Universal. The was very nice and clean when we arrived. We had a small problem with the TV when we arrived, but it was quickly sorted out. We would definitely come back if in Orlando." "Just to say that today is our last day in your fantastic villa and I would like to thank you for the use of it. We have had a brilliant week and the villa has been a haven from the heat and all the mayhem that the wonderful parks have to offer. My husband was unable to come at the last minute due to the failing health of our very elderly dog so it was just myself and our two daughters who travelled. In this regard the villa has felt safe and caused us no problems what so ever. The villa has truly been a home away from home with all the modern appliances to make life easier plus loads of space to make sure you can fully relax without bumping into one another every two seconds. I have no doubt we will be back at some point so once again thank you for helping make our holiday so great!" "This is our third visit to this fantastic villa. Another great holiday with great weather, food and surrounding area. Thanks." "Stayed at your house for 8 nights and loved it. Didn’t want to leave this spacious home and great outdoor area. Good location for malls and restaurants. Would love to come back someday." "After spending a week with family in Daytona Beach, I chose your home for a week of relaxation and self-indulgence. We enjoyed the sun and the pool...Thanks so much for sharing your home with us. We had a wonderful week and will visit again soon. If you are ever in St Louis we’ll buy you dinner. Kind regards." "Another enjoyable year at Turnberry Grove villa. Thanks to Dave for quickly sorting out the bedroom TV. Thanks once again." "The villa is great, so clean and tidy upon arrival. We loved being so close to Disney and great great places to eat. Thank you for the bird spotting recommendations - we saw some incredible birds. All in all a full-on but most enjoyable couple of weeks. p.s We took the opportunity to go to the Amway Center and saw basketball and ice hockey - very memorable experience. " "This is our second visit to this wonderful villa, excellent location and great facilities in the villa. Many thanks to Dave (MC) for helping us sort out the TV controls. Loved the pool"
"We have had a fabulous week! The house was lovely, spotlessly clean and tidy and with absolutely everything for our needs. We used the pool every day and it was lovely after a long hot day in the parks. We will strongly recommend to family and friends back in the U.K."
"The Tucker family from Devon, U.K had a great week. The home is lovely and was spotlessly clean. It's nice to find a villa that is a home. We all loved the pool and the location is great." "Stayed at your home for Spring Break this week. We loved your home. We were so comfortable. plenty of room to spread out. The pool was a great feature. The kids spent a lot of free time floating about. You are located so close to all the parks and the shortcut in your information pack helped quite a bit. Wonderful!! " "Stayed at Ann & ken’s villa several times over the past 3 years and we just love the villa and the location is perfect. " "The villa has everything you could need, the location is perfect and the family had a great vacation. " "Ken and Ann, This place is beautiful! My husband Dave said, Forget about the parks, I'm just going to hang out here! My mom is napping and my kids are in the pool. Just fabulous! " "The pool was heated to the perfect temperature and I struggled to get the kids. 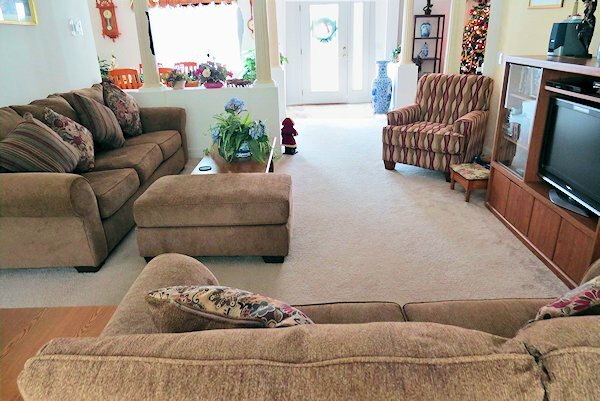 The home is so well appointed and easy access to everything makes it the perfect location. You have a great place there! March 2011"
"Our family enjoyed our stay at your home. The pool was a big hit and everything was very comfortable. We felt very safe and the neighborhood was beautiful. April 2012"
"Had a brilliant time in Orlando. It was a great end to our holiday after seeing the sights of Canada. Our daughter Charlotte who is two, loved the toys and the swimming pool. We love your home which is why we came back here again this year for the second time. Hopefully we will be back soon. June 2012"
"Lovely villa in perfect location. 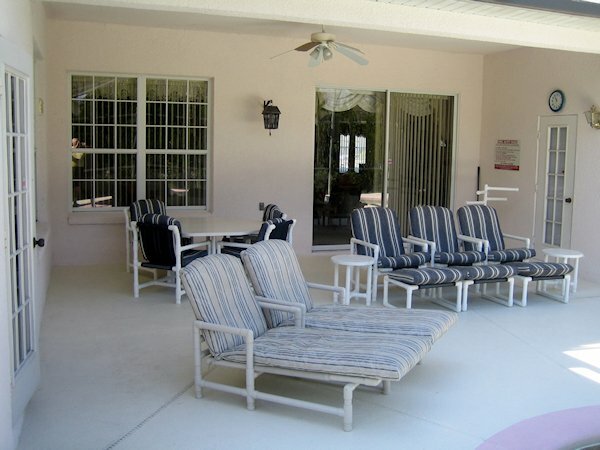 We have visited Florida on many occasions and this villa is one of the best we have ever stayed. Thanks Ken & Ann Best wishes Rob & Krystyna July 2012"
"We loved this villa and greatly enjoyed the location. The villa was lovely and clean and enjoyed the clean pool. 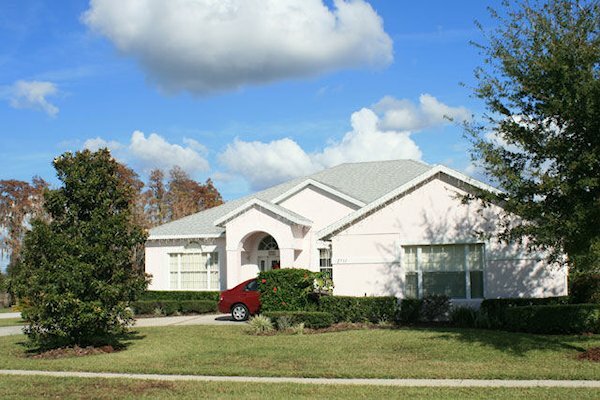 We hope to return to Florida again and would certainly recommend this home to others. August 2012"
"What a lovely home and pool. Has a brilliant time at this beautiful villa. We left some toys for the next visitors. August 20th 2012"
Discount of 10% given to parties of 4 or less people booking at for at least one week or a 10% discount for booking three or more weeks. Booking reservation deposit is £150 / $300 per week non-refundable (unless we can replace your booking dates). Final balance is due no less than 42 days before arrival. Full amount and secruity to be paid for late bookings. Cancellation - more than 42 days before arrival - loss of deposit: 42 days or less before arrival - full amount to be paid. Arrangements are possible in exceptional circumstance to move the booking to another time period or if the owner can find an alternative party for the booking period. Luxury living with plenty of space to stretch out and relax. 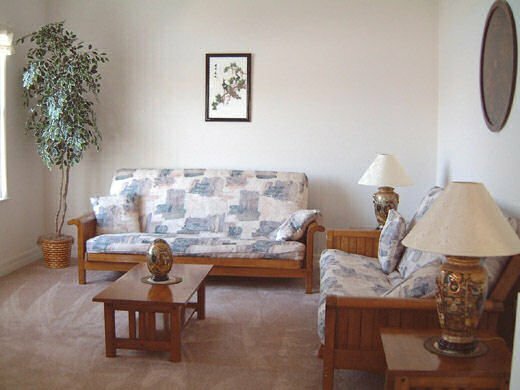 We have a family room with 4K smart 50” TV and cable via service is provided here and all bedrooms have smart TV's and antenna service. Our Chinese theme sitting room where you can sit and have some peace and quiet. Formal dining room where you can entertain. 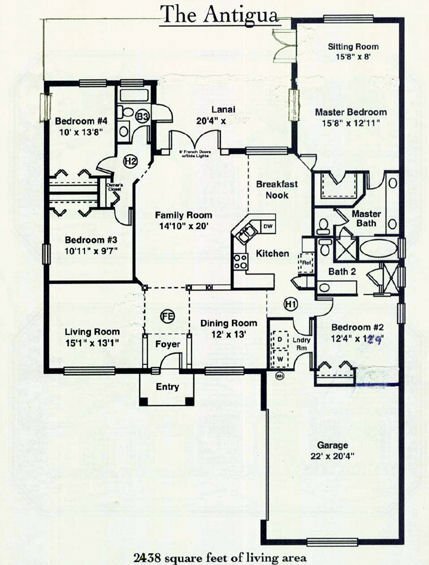 Two master bedrooms and two twin rooms. The largest master includes a study area with a full size desk and bosses chair, PC and printer/scanner (can’t always guarantee ink). The management company will help you print important items if the ink has run dry. 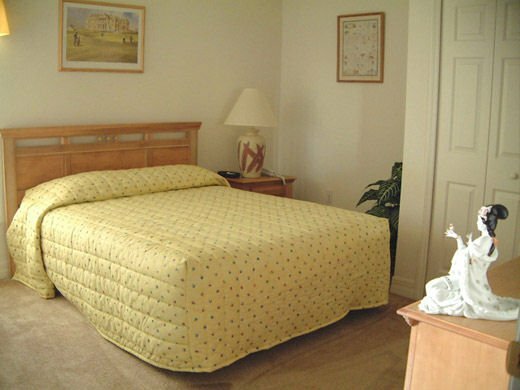 Extra large room with a good size queen, HD TV and DVD player, phone alarm and twin sinks. 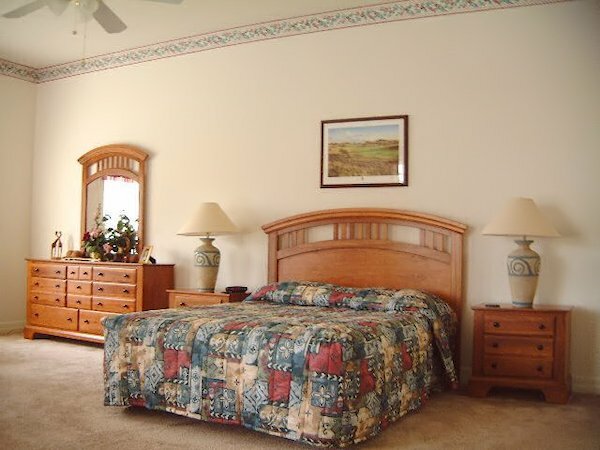 Both masters have large sized queen beds, large showers and large tub in main master. The two twin rooms have large single beds and have their own shared bathroom with tub and shower. All bedrooms have smart TV's with internet access. We have a large deck area and lanai with plenty of space to eat outside. The pool is 28 ft by 14 ft and can be heated in the winter by super effective gas heater that maintains the temperature 85of regardless of the air temperature. The pool faces south east and get the sun from sunrise until about 30 minutes before sunset. - For the very young member of your family, we provide free of charge strollers, high chair, cot and bedding. - For the older kids we have an Xbox game machine and TV in four rooms. 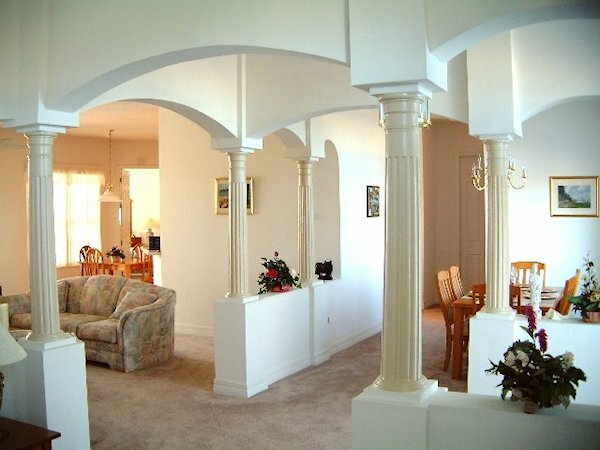 - 4K smart TV in the family room, and smart TV's with internet access in the other bedrooms. - We have free high speed wifi internet and free telephone calls. - Our management company live right next door, so if you need something, they’ll find or get it for you. - Need a tool to fix something, don’t use the pots, Dave will let you borrow what you need. - We can arrange a food welcome package if you want it - with the basics of milk, OJ, bread, bacon and eggs for $35. But there is a local Gooding's supermarket at the small mall.